Come hang out with us in the South Bay on May 19, 2018! 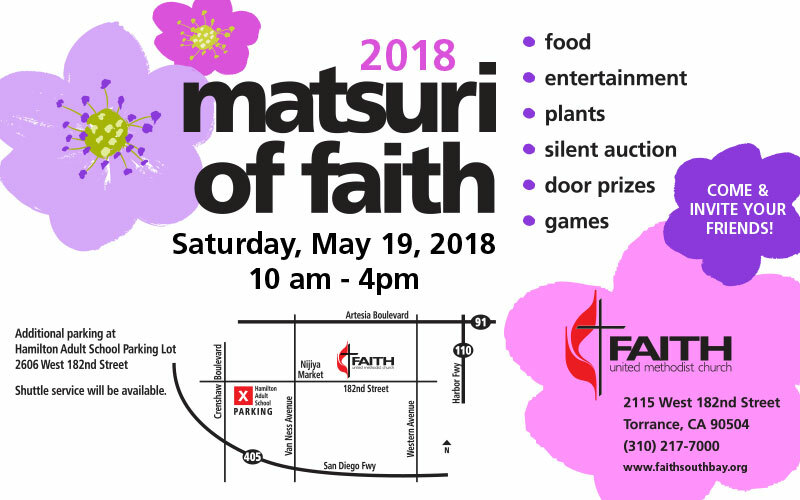 We’re opening for Faith UMC’s annual Matsuri of Faith at 10am. Come early for the taiko and stay for the games, food, silent auction and other entertainers. This event is free, and an awesome way to spend your Saturday with the family! Join us this weekend at the East San Gabriel Valley Japanese Community Center’s first FUNdraiser of the year, BBQ Bash! We’ll be kicking off the evening’s festivities, so be sure to get there early and grab a good seat. The event begins at 6pm, at 1203 West Puente Avenue in West Covina. Hope to see you there!